Nadiya Kassam Summer Spring Footwear Collection For Women: Collection of Nadiya Kassam spring 2014 shoes was launched. First of all, we would like to discuss the brief introduction of Nadiya Kassam as a brand. Well, Nâdiya Kassam is regarded as the head and shoe brand well known in Pakistan. This brand of shoes has been working since the year 2004. 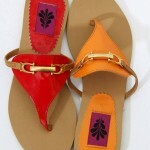 This brand of shoes presents the diversity of sandals, clutches and other leather. Since 2004, Nâdiya Kassam presented so many collections of women’s footwear. 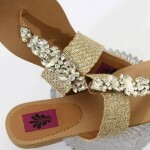 All collections of Nâdiya Kassam shoes are stylish and elegant. If we talk about quality, then all this Nâdiya Kassam shoes are made with materials of high quality like leather, hand-made brooch and the art end. Nadiya Kassam presented its collections of footwear under categories as casual wear, party wear, clothing. 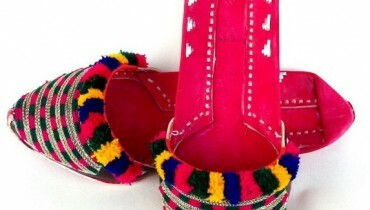 Now for the spring season, Nâdiya Kassam is still with the latest collection of shoes.